This has been the year of the protester. One brilliant man who shook an autocratic system in an earlier age died on Sunday. 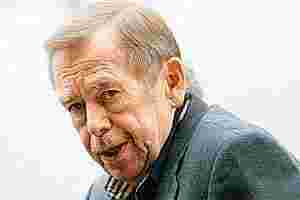 Vaclav Havel was one of the leaders of the Velvet Revolution that toppled communist regimes across East Europe in 1989. He had served notice to autocrats in a searing essay published in 1978, The Power of the Powerless. An autobiographical book of interviews was aptly titled Disturbing the Peace. Havel argued that repressive regimes live off lies, but there will be a time when the individual will stop accepting the lies. We saw that this year.